This article on "agricultural pollution" is from Garden.eco, a site that's maintained by and for gardening enthusiasts, not a food justice organization or environmental NGO, so the word is getting out. It's a good overview of the categories of pollution arising from industrial agriculture. When identifying processes or industries that contribute significantly to pollution, most people don’t think of agriculture. In fact, in order for agriculture to continue, farmers must take good care of the environments of their land and animals. is a science that requires the growth of crops and livestock to be balanced perfectly. The process of agricultural pollution is the result of the many stages of growth that crops and animals go through. 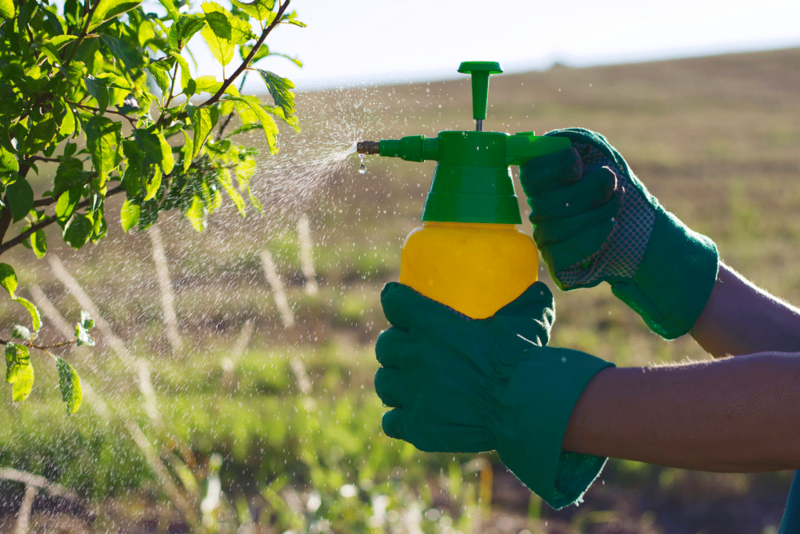 Pesticides and Fertilizers: The earliest source of agriculture pollution is pesticides and fertilizers. Modern pesticides and fertilizers have to deal with local pests that have always been present, as well as new invasive species. Thus, crops are laden with synthetic chemicals. However, once crops have been treated, the chemicals do not disappear completely. Some of them combines with water and seep into the ground. The remainder is absorbed by the plant itself. As a result, local waterways that supply groundwater become contaminated, along with the animals that eat these crops and plants. Contaminated Water: Contaminated water is another source of pollution. Most of the water used by the population comes from groundwater reservoirs, canals, and rainwater. While much of it is clean and pure, some sources are polluted with organic compounds and heavy metals. This happens because industrial farmers dispose of agricultural waste in nearby water sources. Therefore, the crops are exposed to water which has slight amounts of mercury, lead, arsenic, and cadmium dissolved in it. Fighting agricultural pollution becomes harder when contaminated water poisons the livestock and leads to crop failure. Soil Erosion and Sedimentation: Further problems are caused by soil erosion and sedimentation. Soil is comprised of many layers and it is only the top layer that can support farming or grazing. Inefficient farming practices lead to this soil being left vulnerable to erosion, and that leads to declining soil fertility every year. 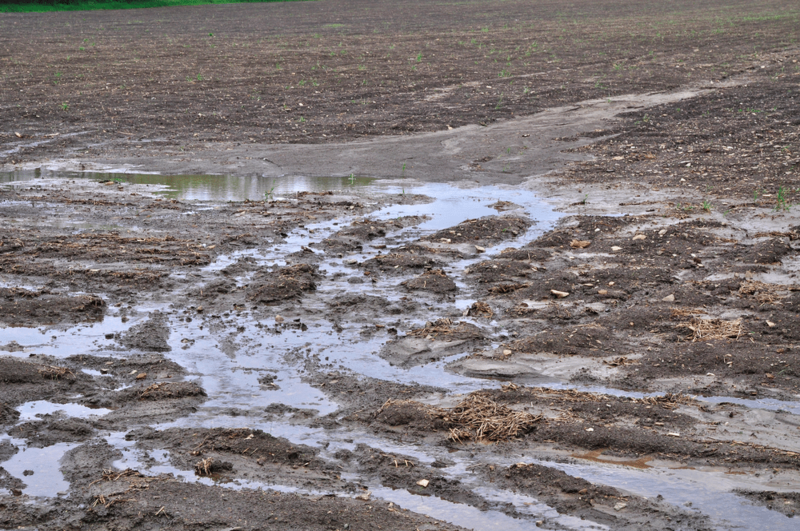 The resulting sedimentation causes soil build up in areas such as rivers, streams, ditches, and surrounding fields. The process of agricultural pollution prevents the natural movement of water, migration of aquatic animals, and transportation of nutrients to other fertile areas. Livestock: One hundred years ago, farmers would only keep as much livestock as their land could support. The cattle, sheep, pigs, chickens, and other animals were fed natural diets. As a result, the animals contributed to keeping the farm healthy as well. Now, livestock is raised in cramped conditions, fed unnatural diets, and sent to slaughterhouses on a regular basis. This results in increased emissions of agricultural pollution. Pests and Weeds: With the arrival of new, exotic crops, the native population must deal with new diseases, pests, and weeds that it is not capable of fighting. As a result, the invasive species destroy the local vegetation and wildlife, altering the ecosystem forever. The above factors contribute to three primary types of agricultural pollution: land pollution, water pollution, and air pollution. Most fertilizer is produced using a combination of untreated animal waste and synthetic materials. Both contain disproportionate amounts of nitrogen, phosphorus, and heavy metals (such as zinc, copper, chromium, arsenic, cadmium, and lead). Even though most of these minerals normally act as nutrients to feed plants, industrial farmers overuse them, and the amount that cannot be absorbed into the earth ends up polluting the soil. The National Water Quality Inventory report of 2002 noted that agricultural runoff was “the leading cause of river and stream impairment and the second leading cause of impairment in lakes, ponds and reservoirs,” which includes fertilizer runoff that typically occurs when rain carries fertilizer into waterways. Excrement from animal waste cesspools (where industrial farmers typically dump the waste) can seep through the soil into nearby underground water tables, as well as overflow during storms. In California, the nation’s top dairy-producing state, a UC Davis study found animal agriculture to be responsible for serious nitrate contamination in areas with big dairy operations, and the authors of the study determined that nitrate would remain in those areas for decades even if all farming operations were eliminated. According to the US Environmental Protection Agency, as of 2007, animal excrement from factory farms had contaminated groundwater in 17 states and polluted 35,000 miles of rivers in 22 states. Various gases from animal waste are the primary sources of factory farm air pollution. 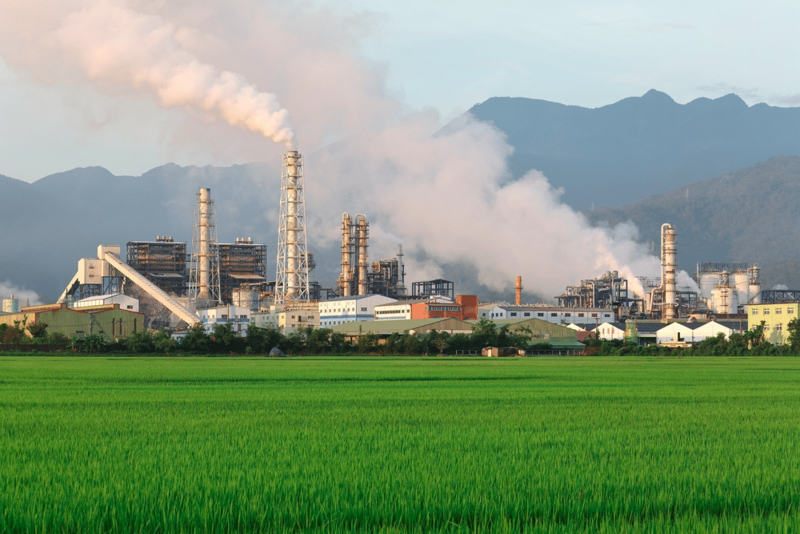 Particulate matter and bacterial toxins found in high concentrations at and around industrialized animal facilities have caused serious respiratory and cardiac disorders. The ammonia from waste slurry lagoons evaporates and enters the rain cycle, forming nitric acid rain. Agricultural fertilizer emissions are the leading cause of nitric acid rain (after motor vehicles and coal plants). To solve the industrial agriculture pollution problem, it needs to be attacked on a variety of fronts. Because these factory farms are virtually unregulated, one way to prevent further pollution is for the US government to consider new, more stringent regulations for the disposal of farm waste. Since factory farmers are not being held accountable, and they are not afraid to pay fines when caught breaking rules, there is no incentive for them to try to keep the surrounding environment healthy. While some might argue that more government is not the answer, it is clear that there must be some process put in place to aid in the safe disposal of agricultural waste products. One solution for farmers might be farm co-ops. In the early and mid-20th century, farming co-ops were made up of local farmers in a specific geographic area. They held each other accountable for sustainable farming practices. Some of these co-ops still exist in the Midwest and are successful at keeping farming sustainable for the environment. On an individual level, people can help turn the tide by supporting sustainable farming practices when they purchase food. 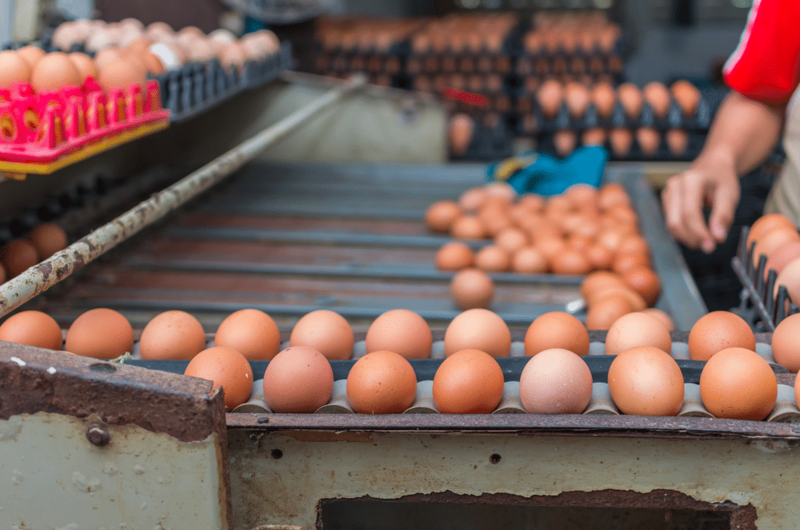 The consumer demand for animal products (meat, dairy, eggs) will not decrease any time soon. However, if more consumers would switch to eating animal products that have been raised organically, on large family farms, the demand for farm factory products would decrease – ultimately causing the factory farmers to rethink their approach to sustainable farming. Yes, industrial agriculture may be a source of cheap animal products, but it is obviously detrimental to the ecosystem. The pollution created by factory farms is damaging the water, air, and land in this country as the demand for meat, dairy, and eggs continues to increase. Through changes in policy and shifting consumer demand to sustainable farm methods, we can begin to make a difference in the environmental impacts of industrial agriculture. To ignore this problem only hurts us. If we’re going to preserve the planet for future generations, we need to work toward a solution now.